It’s tax season once again. Ready or not, we are required to file income taxes. If you have just become a homeowner, or have been one for years, you can take advantage of various tax breaks that help ease your tax burden. Here are some ways homeowners can use tax breaks to decrease the amount of taxes they are charged. Your monthly mortgage payment is made up of principal and interest. By itemizing your taxes, you may be able to claim all of your mortgage interest as a deduction. For example, if your mortgage debt is $750,000 or less, you’re able to deduct the entire amount you paid in interest in the year prior. If your mortgage originated before December 15, 2017, you can deduct the interest on up to 1 million dollars of mortgage debt. Depending on your mortgage rate and term, using your mortgage interest as a tax break may save you hundreds of dollars owed. HELOCs were once more widely accepted as tax breaks, but there was a change to the tax laws with the Tax Cuts and Jobs Acts of 2017. Until then, homeowners were able to deduct interest on a HELOC debt that was used for any reason. There are two key changes affecting how homeowners can now use HELOC debt as tax breaks. The HELOC debt must be used to finance a home renovation to be used as a tax break. The amount of the HELOC must be added to the mortgage debt, and together they must equal $750,000 or less. Even with the changes, HELOCs may still be able to save you a bit on your taxes this year. This is the one time a year when homeowners may be grateful for their area’s high taxes. City and county taxes can be used as deductions when filing your taxes if you itemize your expenses. The limit on this tax break is $10,000. This break offers a bit of relief, especially if your home is located in an area with high taxes. Sometimes homeowners opt to buy points during the mortgage process in order to lower their mortgage rate. You may be able to deduct the money you spent on these points. Be warned that there are several rules about using mortgage discount points as a tax break, such as the points must be paid directly instead of with your loan, and they must be calculated as a percentage of your mortgage. Ask your CPA if you qualify for this tax break. Working from home may offer you a tax advantage. In 2018, claiming a home office as a tax break got more difficult, but it’s still possible. You must use your home office as your primary workspace, and employees must meet additional tests that self-employed workers don’t. If you qualify, you can deduct your home office space as a percentage of your home. For example, if you have a 2000 square-foot home and your home office is 200 square-feet, you can deduct 10% of your insurance, homeowner’s associations fees, utilities, and other expenses related to your home. Going green and reducing your carbon footprint can save you money on your tax bill. The government has put several credits in place for homeowners who make energy-efficient investments in their home. Installing solar panels and solar-powered water heaters to turbines and using fuel cells that rely on a renewable resource all rate as a tax credit under the Residential Renewable Energy Tax Credit. Tax payers can use up to 30% of the cost of the energy-efficient upgrade, including installation, as a tax deduction. Nobody wants to pay more taxes than they should. Understanding how to use your home for tax breaks can be confusing. 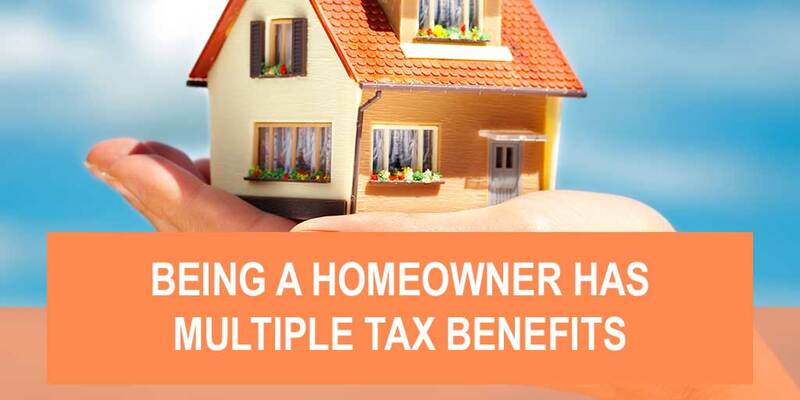 Luckily, being a homeowner offers distinct tax advantages that renters don’t get to use. Educating yourself is the first step in making certain you’re using the maximum amount of tax breaks owed to you. Be sure to talk to your accountant about the terms of your mortgage, your taxes, and any upgrades you’ve made to your home to make it more energy efficient.